G-Dragon, you make me laugh. Like, a whole bunch. Especially when you are being your wonderfully silly self. This photo is from Big Bang’s recent concert in Seibu, Japan. 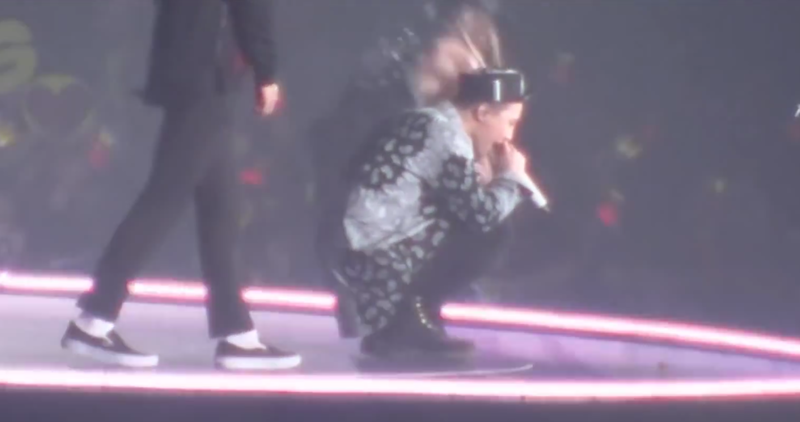 During their performance of the song “Feeling”, G-Dragon discovers a bug (some sort of moth/butterfly) lying on the stage. In typical GD fashion, he not only squats down for a better look, but he pulls in his fellow member to experience the fun. ADD much? 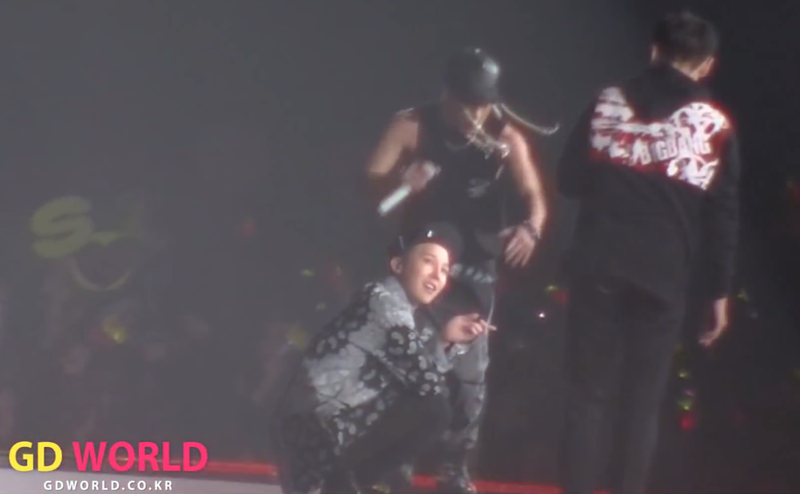 I love how Daesung is super focused on his performance and GD is just grinning up at him like a crazy person. It’s not like they are singing in front of more than 20,000 people or anything. Hey, why don’t we stop and play with this random bug? Great idea! This is exactly why fans love GD. He’s quirky. He’s not afraid to enjoy life and explore, even if the exploring involves momentarily forgetting about your job of singing and dancing. But guess what? When GD’s vocal part comes up, he doesn’t miss a beat! He chimes in while squatting, still sorta spazzing about the bug. No real problem to be had. Looks like all of Big Bang’s practicing paid off! This is why these guys are the reigning kings of K-pop; nothing can stop them, not even a bug! Don’t worry, all of Big Bang is soon in on the secret. Each member gets a G-Dragon led tour of the visiting bug. 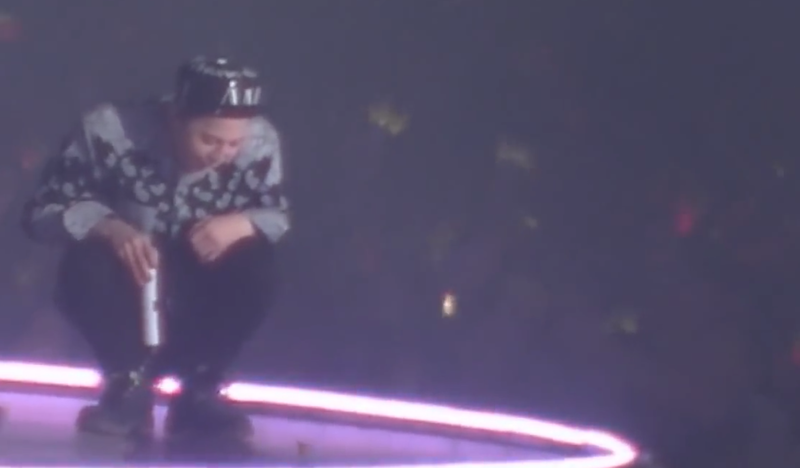 Taeyang soon puts an end to the madness and tosses the bug off stage. The experience was brief, but amazing. Now I’m just waiting for a fan to bring fake bugs to throw onstage during future concerts. I hope GD would have a similar reaction. You can check out the full video below. For the infamous bug part, skip forward to 2:10. Please tell me you found this as hilarious as I did. I seriously couldn’t stop laughing while writing this post! P.S. 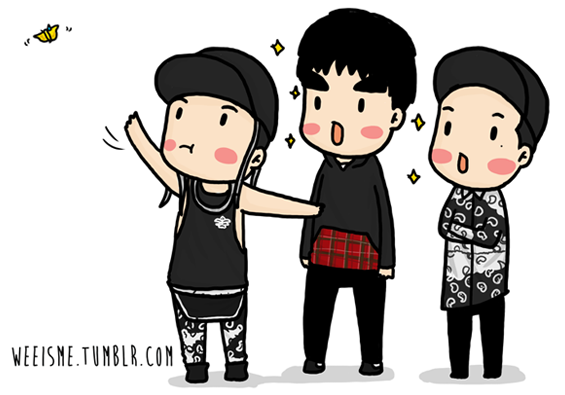 Check out this great blog for more awesome Big Bang cartoons!